Learn how Psychic Medium Susan Rowlen uses her gifts to investigate ghosts, ESP and other paranormal activity. Ghostbusting has long been fodder for entertaining Hollywood movies. Yet, ghosts and other paranormal activity actually exist, often causing havoc and fear for many occupants of homes or businesses. When this occurs, paranormal investigations and a way to provide resolution. Paranormal investigations are conducted by teams of members including those working in public safety, psychics and mediums and tech specialists. By definition, paranormal investigation is the examination of phenomena that can’t be explained by normal scientific evidence. Psychics assist legitimate paranormal investigators in their evaluations of ghosts in homes or businesses, ESP or other psychic phenomena. Susan has used her gifts to help Chicago Paranormal Investigators and other Paranormal groups bring relief and answers to the commonly unknown world of the afterlife for many people. She has provided key information to investigators about what, where, and who to look for during their exploration of reported paranormal activity. Chicago’s famous Tribune Tower and Chicago Theatre are just two of the key investigations in which Susan provided discoveries. She also worked with a local investigation team to explore reported paranormal activity in a residence in which previous tenants were purportedly victims of a murder suicide. The Congress Theater, a famous Chicago movie theater built in 1926, has long been considered one of the most haunted spots in the city. The famous magician Houdini performed at the place in the 1930s and local lore suggests the mob used to frequent the theater in its basement. Witnesses have seen an apparition of a woman and shadow figures and have heard disembodied footsteps and strange noises. In addition, an apparition of a man raising his arm was reported to appear on the theater’s stage while others have witnessed a woman in a blue dress pacing an aisle before disappearing. 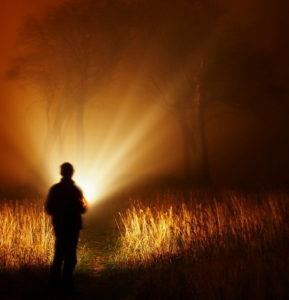 To help investigate these sightings, Psychic Medium Susan Rowlen assisted the Chicago Paranormal Investigators. Watch the video to hear her explanation of what she encountered during the investigation and her interesting discoveries. Paranormal beliefs are common among Americans, according to recent polls. According to a Pew Research Center survey, 18% of U.S. adults acknowledged they have been in the presence of a ghost. According to The Chapman University Survey on American Fears, 42% of Americans said they believe places can be haunted by spirits. Do You Suspect You’re Being Haunted? We’d love to help. Schedule a consultation with Susan regarding paranormal activity in your home or business.